When OnePlus staff member David S. said that the tiny phone manufacturer would release a drone called the DR-1, our BS-o-meter shot past the "nope" point in under two seconds. 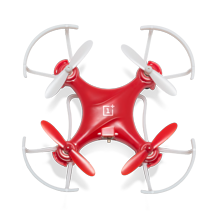 As many of you guessed, the OnePlus drone is indeed an April Fool's Day joke. But apparently the company is taking a page out of Think Geek's playbook: in addition to being a mildly amusing misdirection, the DR-1 drone will also be available for purchase. The Ar.Drone, an awesome quad-copter by Parrot which we took a close look at back in September, just got a major upgrade. Parrot has unveiled the Ar.Drone 2.0, which brings many revisions (enhancements) to the original concept. 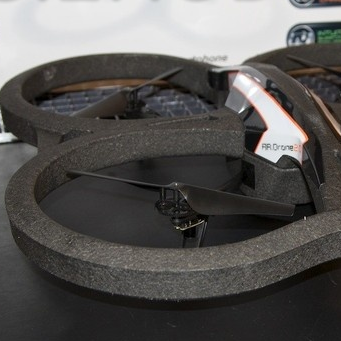 Update: Here's a look at the Ar.Drone 2.0 in action. Watch it flip! One of the most notable improvements is that the drone's onboard camera can now beam 720p HD video back to your device.